MMO MMORPG News·Interviews·Wizard101 Interview: A Game for Young and Old? Wizard101 Interview: A Game for Young and Old? “Amazing, intense, challenging and magical” are the best ways to describe Wizard101. Kingsisle Entertainment has brought MMOs to a next level with this amazing game full of unique and incredible features. The intense turn based combat with beautiful effects, the magical classes and the colorful world are features that make Wizard101 a great game, but there is one thing that some of us are still quite unsure about; Is the game really for young and old? That’s what we are going to find out! OnRPG decided to hold an interview with James Nance, Senior Producer at Kingsisle Entertainment. I’m James Nance and I’ve been with KingsIsle for over 4 and a half years, and was the Lead Designer during development of the game. I’m currently responsible for the overall creative vision and the management of both the development team and game service for Wizard101. Onrpg: How did the development of such a unique game start? It was a team effort. We – Todd Coleman (our Creative Director), Josef Hall (our Director of Technology) and I — wanted to give young fantasy fans an online entertainment option that offered the fun of massively multiplayer games, but in a way that was safe and appropriate for younger players. Honestly, Shadowbane allowed me to get my fill of gore, so I was ready for something more light-hearted. When we looked at the MMO market, there was a pretty big gap between virtual worlds made for very young players (Club Penguin, ToonTown) and the offerings for the adult market (World of Warcraft, Warhammer). Fantasy worlds like Harry Potter and Pokémon dominated the scene, so we thought why not give the tween and casual gamers a family-friendly, wizard themed game. Onrpg: The game targets especially younger players. Can teenagers and adults also enjoy the game? Definitely, funny enough, we’ve gained many adult players because they were checking out the game for their kids and became hooked on it themselves. 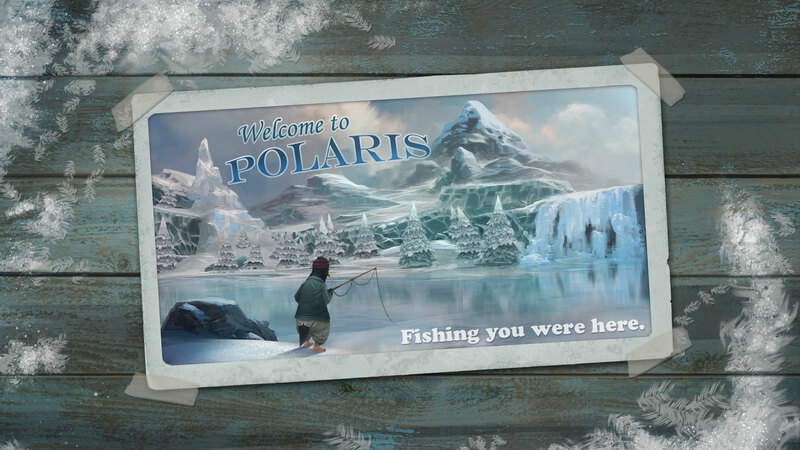 When developing Wizard101‘s storyline and characters we hoped to achieve the “Pixar Effect” – the ability to appeal to parents and kids alike. We created the game to be a polished, light, fun, fantasy MMO experience with tongue-in-cheek sensibility. There’s a clear story-driven plot and some pop-culture humor that amuses the adults, but that kids might not even notice. Onrpg: Wizard101 has a unique spell system. Could you tell us some more about this system? Our spell system is turn-based, card-game combat. We actually developed and refined the original card combat system using paper cards and sitting around a table. We wanted to make sure that the system made sense and that the rules were easy to learn. In the game, players create spell decks that are based on their chosen magic schools. Players can find, create, purchase and trade cards with each other. Because this system is turn-based and prompts you for your turn, it’s easy for people to understand at early levels. The combat is also very cinematic, so it’s engaging and fun to watch. Additionally, as you advance, your decisions become more strategic and thoughtful. You have time to think about your next move. It’s not a game that relies on hitting buttons as fast as you can. Onrpg: Why did you put up a subscription fee if the game mostly targets younger players? Wizard101 offers a never-ending free trial. In addition to the initial area, you can access the PVP arena and play the mini-games forever. Other worlds are accessible through a monthly subscription or players can add new areas individually as they advance. Additionally, it’s important that parents have a say in the online communities their children are a part of and by involving money it generally brings parents into the process. Also, as discussed earlier, we’ve actually gained a good deal of players by involving parents. We feel our subscription model is family-friendly and affordable. Onrpg: There are several magic classes in the game. Could you describe them for us? The Ravenwood School of Magical Arts, where young Wizards train, has seven different schools of magic which are integral to the Wizard101 story line as each offers its own rhythm and philosophy. During character creation, players are asked a series of questions that determine their school of magic and the spells they’ll learn throughout the game. There are six basic schools and one that combines the powers of the six. The schools are Fire, Ice, Storm, Myth, Life, Death and Balance. The magic of Fire, Ice, and Storm come from the ancient Titans that ruled the world in the Days Before. The magic of Myth, Life, and Death comes from the power of the mind, body, and spirit of the Wizard casting them. The magic of Balance unites all these magical elements. Onrpg: Are there unique events held ingame? If so, could you tell us more about them? Onrpg: What separates Wizard101 from other MMOGs? Wizard101 combines the fun and challenge of massively multiplayer worlds with a family-friendly environment that is safe for younger players. It’s a game the whole family can play together, but that kids can also play alone. That’s not something you can say about other MMOs that are designed with more adult sensibilities in mind. I don’t know many parents who would feel comfortable letting a pre-teen see and participate in some of the un-filtered conversations you see in other games. Onrpg: What kind of updates can we expect in 2009? Onrpg: Wizard101 has a few mini-games. What is the reason of having those? Mini-games provide one more way for our players to stay engaged and interested in the game. We think they are lots of fun and if you have a few minutes to play, but not enough time to complete an entire quest, you can still play a few mini-games and feel like you’ve accomplished something. Onrpg: What is the reason for limiting the chat and character creation? While we want players to be able to express themselves through chatting and character creation, our first priority is to keep our younger players safe within Wizard101. We think we have found a good balance between self-expression and safety. When creating their Wizards, players can choose from different outfit colors, facial features, hair colors, etc. We have a name-generating system that allows players to create names that fit with the world of the game, but prevents players from using their real names or creating names that are inappropriate. Part of what makes Wizard101 so engaging is the ability to interact with other players. We offer multiple levels of chat that offer decreasing levels of control that can be modified to fit the changing maturity levels of players. Kids can still express themselves and make friends through chat; they just can’t reveal personal information. As players grow, Wizard101 can grow with them to allow for more self-expression and freedom. Onrpg: Why is there a restriction for typing numbers in the chat? This restricts players, particularly younger ones, from exchanging personal information such as their age, address, phone number, etc. We want to do everything in our power to protect our younger players in Wizard101‘s community. Onrpg: Wouldn’t it make you feel lonely if the ways of communication are so limited? The goal of the tiered chat system was to ensure that players were able to communicate with one another, but in a way that was safe for young players. Our most basic level of chat is menu-based. Players can use a multi-level system of drop-down boxes to converse. The menu-based system includes ways to greet others, ask for help on specific tasks, offer help, wish people good luck and even tell others that you are restricted to menu-chat. Rather than isolate players, it provides a safe, structured environment where kids can enjoy the game and be part of an online community. Onrpg: Why didn’t you make separated channels for the community; One with barriers and one without? The tiered chat system functions the same way as separated channels. The least-restricted chat option is Open chat, which is available for adults and must be validated by entering a credit card number. At this level, there is a profanity filter, but players are able to communicate freely. If two players with Open chat are conversing near others, their full conversation can only be seen by other Open chat players. Anyone with “white list” chat can only see the parts of the conversation that align with the white list of approved chat words. And finally, menu chat players cannot see the discussion. Onrpg: There is an arena which offers us PvP fights. Is the PvP (Player versus Player) similar to the PvE (Player versus Environment)? Player vs. Player (or PvP) is a combat feature we offer in a special arena in the game. Players can compete against each other instead of worldly creatures. While similar to regular dueling, Player vs. Player dueling adds an extra level of excitement and challenge because you’re matching your skills against other players, not just a computer. There are also unique rewards that can only be earned through PvP! Onrpg: The game is very casual and players can just jump into your fight and ‘steal’ your kills. Why is this possible? Wizard101 is set up to be a cooperative game, where players are encouraged to help each other out. Unlike other games, there really is no way for another player to “steal” monsters that you’re fighting. If I’m battling a troll and you jump into the combat circle, we are both rewarded with treasure at the end of the duel. In other games, each defeated opponent offers one reward, so there’s no benefit to multiple players working together. Onrpg: Is there anything else you’d like to say? Wizard101 has been the most fun project I’ve ever worked on, and I’m very proud to see it well received and enjoyed by so many people. Thanks for listening! 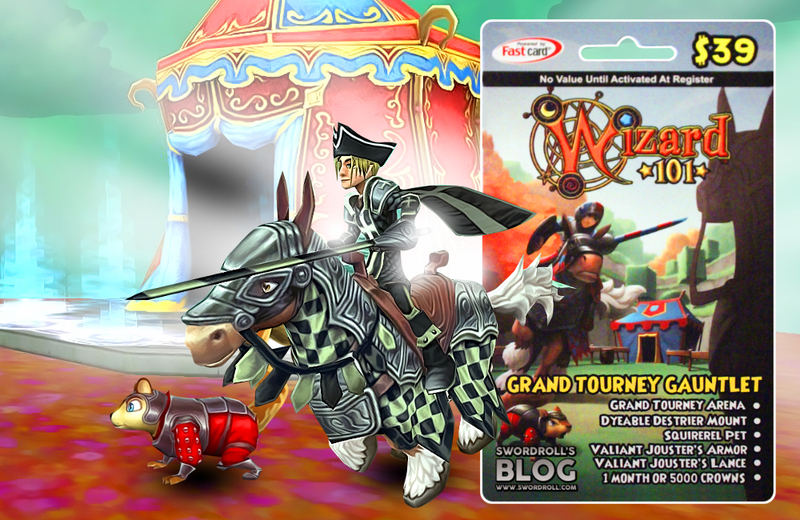 Wizard101 Grand Tourney Bundle Hits Stores + Giveaway!